BEIJING — Audi, Volkswagen's main profit driver, on Wednesday said it was working with China's Hanergy Thin Film Power Group to integrate solar cells into panoramic glass roofs for an upcoming Audi electric vehicle. 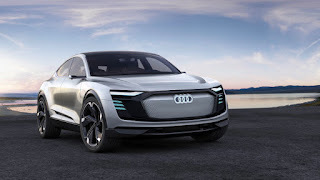 Alta Devices, a unit of the Chinese solar cell firm Hanergy, will design the solar-embedded vehicle roof that will eventually help increase the range of EVs by feeding solar energy into internal electrical systems, such as air conditioning and other appliances, Audi said in a statement. The prototype of the vehicle with a solar roof will be built by end-2017, the automaker added, without giving any details on investment and estimated time frame for mass-production. Audi plans to make three battery-electric models by 2020 and aims to cover one third of its vehicles with fully electric drivetrains by 2025. Its E-Tron is currently in testing. Audi, which has been grappling with car recalls, prosecutor investigations and persistent criticism from unions and managers over an emissions scandal and its performance post-dieselgate, is currently looking to shift its focus to EVs. Last month, Audi said it aimed to cut costs by about $12 billion by 2022 to help fund the shift. It is also looking to free up funds for investments in zero-emission technology by developing a new production platform with Porsche, allowing both VW brands to save money by sharing components and modules.At a later stage, Audi said it hopes to be able to use solar energy to directly charge the traction battery. "That would be a milestone along the way to achieving sustainable and emission-free mobility," said Dr. Bernd Martens, Board of Management Member for Procurement at Audi. Hanergy presented four solar-powered EVs last year, and has been seeking to cooperate with car producers to mass produce its solar devices.